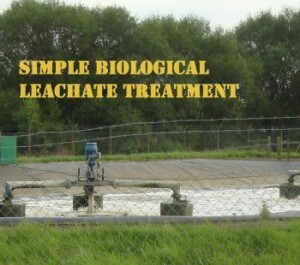 First of all when asked the question, “How Do You Treat Leachate?”, we would like to make a distinction between true treatment which involves converting environmentally damaging substances to less, or non-toxic, ones, and simply concentrating the contaminants from the water in leachate to give a volume reduction. In the water industry both are known as treatment and yet, the distinction that we have just made is important, both in terms of subsequent cost to dispose of the concentrated part, and in environmental terms, if for example as some do, the concentrate is simply pumped back into the landfill to create bigger problems in the future. The prime example of the first type of “treatment” is filtration and reverse osmosis when not used in combination with biological treatment. Biological treatment when correctly applied does convert harmful organic substances into less harmful or innocuous outputs. There is a place for reverse osmosis (RO) in leachate treatment, but not as a primary or sole treatment process, in our view, other than for example temporary and emergency use. 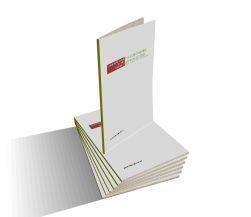 So, ruling out RO as we have described it above, and returning to the question “How Do You Treat Leachate”, the answer is by using natural biological process in which the designer seeks to provide optimum conditions for good micro-organisms to produce the best reaction without the use of chemicals, other than to provide optimum conditions for the micro-organisms. This is in fact the principle which is used to treat practically all sewage all over the world, and from the numbers of good water-quality rivers and streams you will see flowing throughout many towns and cities which have good sanitation, this is self-evidently a highly successful method. Leachate is a mostly organically contaminated liquid and no matter how many times you see it stated that leachate contains all sorts of unusual sounding and highly toxic substances. Remember that these are only present in household waste and commercial and industrial waste landfills in the developed nations in tiny quantities. The great bulk of what needs treating in leachate is organic matter which has become leachate by its decomposition within the landfill. The next point about sanitary landfills is that once they have been operating for two years or so the landfill will have started producing landfill gas and they will be “methanogenic” (methane producing). Such leachate has already spent time in what amounts to an “anaerobic digestion reactor”, so the benefits of applying another anaerobic treatment process would be limited or non-existent. So, again, returning to our question, “How Do You Treat Leachate”, the answer is simply “aerobically”. Now increasingly, as higher water quality standards are being demanded for the discharges from leachate treatment plants additional anaerobic stages may be added for a stage of biological treatment known as denitrification, which is an air (oxygen) starved process. However, in principle aerobic treatment is the main process and this example does not break the rule. That rule is the answer to “How Do You Treat Leachate”, and the answer which I cannot over emphasise is; aerobically. There are many more detailed articles on the methods for treating leachate, and they demand a much more detailed description than we can provide here, so we recommend that you take a look at http://leachate-treatment.com for a more detailed explanation of “How Do You Treat Leachate”, beyond the general principles in this article. 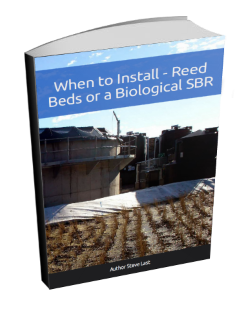 One Response to How Do You Treat Leachate? I am a third year student studying an Honours Degree in Environmental Science at the Institute of Technology Carlow which is located in Ireland. For my third year Thesis, I have decided to do a Literature review on ‘Treatment of leachate from municipal and domestic landfills’. I chose this topic as I worked at a local landfill during the summer and found it very interesting. In this thesis I will cover both existing and new methods of treating leachate. 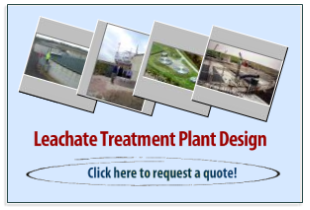 In Ireland the only method currently in use to my knowledge of treating leachate is by putting the leachate into a waste water treatment plant. This as we know does not get rid of harmful heavy metals, ammonia and other harmful chemicals. It would be extremely helpful if you could assist me by pointing me in a direction regarding new methods of treating leachate.